Check Rates & Availability at Caribe Resort Orange Beach! Situated along pristine; unconstructed shoreline; the Caribe Resort is a treasure among the sugar sand beaches of the northern Gulf of Mexico. Among our luxury accommodations you will find an incredible array of pool space; along with stunning vistas of beachfront sunsets. Our comforts are designed with fun in mind; lazy river; tennis courts; saunas and steam rooms; game room; private beach cart service; restaurant and much more. If you are looking for a unique vacation idea; our condo rentals provide a ticket to the most relaxing; picturesque; amenities-packed resort Gulf Shores and Orange Beach have to offer. Serving as both a family friendly hotel and honeymoon spot; the Caribe Resort will provide an unforgettable vacation experience. 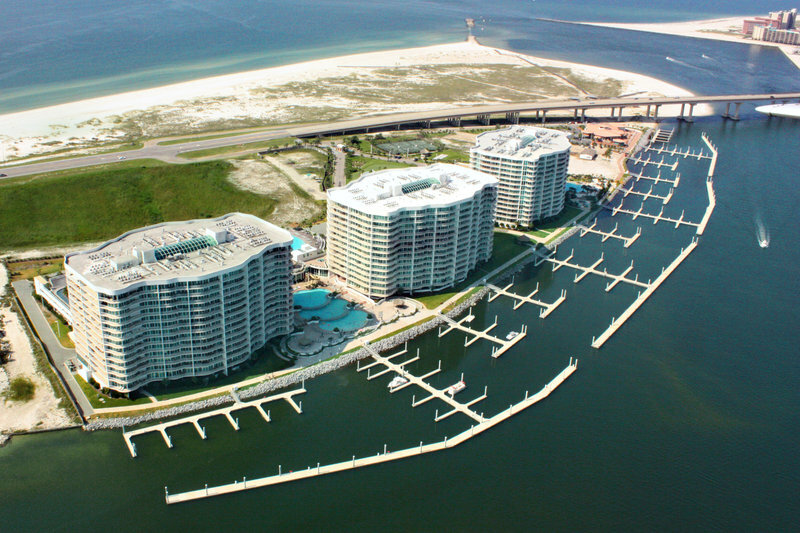 Located in Orange Beach Alabama Caribe Resort offers beautiful waterfront views from every condominium balcony. Situated on a sprawling 23 acre waterfront peninsula Caribe has an abundance of amenities and over a mile of unobstructed beach shoreline. Located on Caribe property. Favorite of both Locals and tourists. Owned by the Operator of Cobalt. Locals favorite. Seafood/sushi and more.